This is a series of online learning courses for people who work in management/leadership positions. They are pitched at about NQF level 5 in terms of learning levels, and is suitable for individuals who manage teams of people, resources, a unit or a department of a business. This programme will suit anyone in a retail, supply chain, banking, hospitality, entertainment and similar types of careers. Ask any manager how they are coping and the immediate response will be, “If only I had more time”! This together with the demands of the business to be efficient and effectively manage people and processes is a never-ending spiral. This is where having the right skills to equip managers to manage and lead for personal growth and organisational success becomes a priority. Online learning does not replace the traditional face-to-face learning methods, but should be seen as a supplementary means of learning. It enables many employees in industries that work long hours, sometimes on a shift basis, as well as those who live and work far away from training centres, to access and learn on their own without any impact on the operational aspects of the business. These courses are flexible enough to include a blended approach by combining the self-learning with a select number of contact sessions to maximise its value. It is self-paced and is certainly more cost-effective than traditional learning approaches. The fact that a manager can learn with ease and in the comfort of his/her free time, makes this approach a lot more appealing. We all know how disruptive time away for training can be in the organisation. First, it requires rescheduling for the number of days the participant is going to be away. It disrupts the work of the unit/branch office if the manager is away as work has to be shared out, often amongst less competent colleagues. Is problematic if special events are happening like promotions, audits, stocktakes etc. Disruptive for the participant who spends time away from home causing personal stress, something employers ignore, but there is a hidden impact on the individual and the organisation. A risk in the form of leaving the business in less capable hands. Costs in the form of training fees for the facilitator, venues, travelling and all the other associated expenses. The time and effort associated with organising, controlling and managing learning events in an organisation. There are other less obvious, but very real factors, that are seldom raised by training providers, about how effective the class-based training actually is. Evidence from numerous studies has shown that participants only recall roughly 15% of what they hear, see and experience in a classroom situation. How the Be the Manager You Need to Be© Online works? 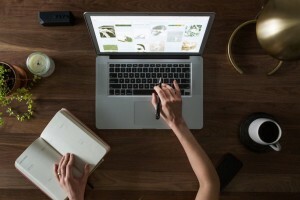 The online approach will overcome most of these obstacles if used as part of a learning solution in an organisation’s overall learning and development strategy. Learning activities such as quizzes, exercises, self-checks etc. A final case study or assignments to complete. 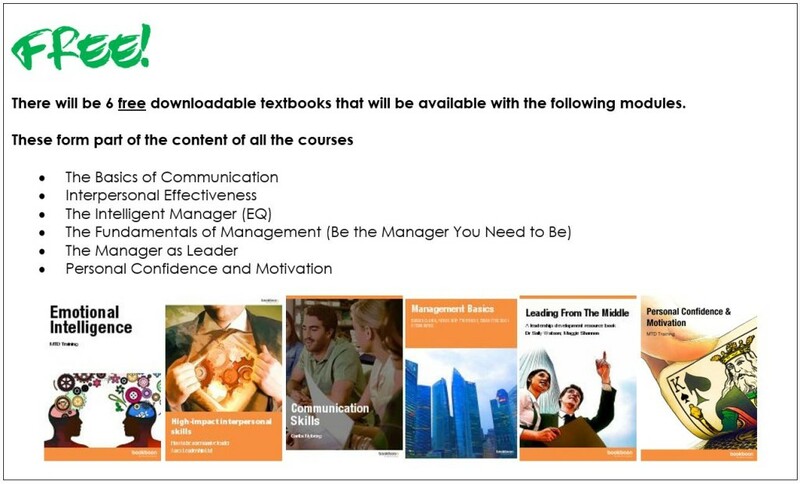 From a technical aspect, Be the Manager has been developed on and presented on a Moodle platform. Moodle is an open source learning platform used to create effective online teaching and learning experiences in the collaborative private environment. Moodle is trusted by organisations and institutions, large and small, with millions of users all over the world. Participants must have reasonable computer skills, meaning they must be able to access the basics software, including the Internet browser. They will complete the work in MS Word and should be able to download files into the BE package when requested. Participants will get support from TFND via Whatsapp on cellphone and email. Each module is approximately 2 hours in length. Modules should preferably be completed in a 2-weekly cycle. When a participant has registered, he/she will be sent a login link. This allows entry into the system. From there they register and create a password. Then they start. TFND will from there follow their progress through the module. They have to complete the case study or assignment within the given time period at the end of each module before proceeding to the next one. TFND Online Learning will assess the work and provide feedback to the participant, and ask for the work to be redone if it does not meet the standard required. If the participant meets the standard (“passed”), it is noted and confirmed with the participant. Then the following module is released. This process is followed until all are completed. As a final measure, the participant will complete a short logbook to check his/her overall understanding of the concepts in the Be Series. Finally, a certificate of completion is awarded. We are prepared to include your company branding on the certificate as a joint initiative. 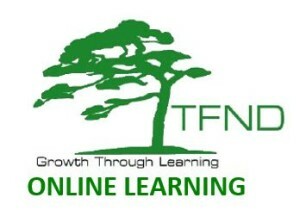 Note, that all the monitoring and progress is done by the provider, TFND Online Learning. The client can be sent progress reports on a frequency to be decided. A special Whatsapp line will be provided for participant support. A Skype facility may be available on Wednesdays between 16:00 and 18:00 for participant support, on request. A webinar may be available depending on the number of participants per company. Note: the courses are generic, but can be customised for a fee should this be required. The fee has been structured to make it as affordable as possible for all situations. There are no hidden costs, licensing fees or anything extra to pay, unless you wish the courses to be tailored specifically for your own organisation but that can be discussed and agreed upon, if requested.